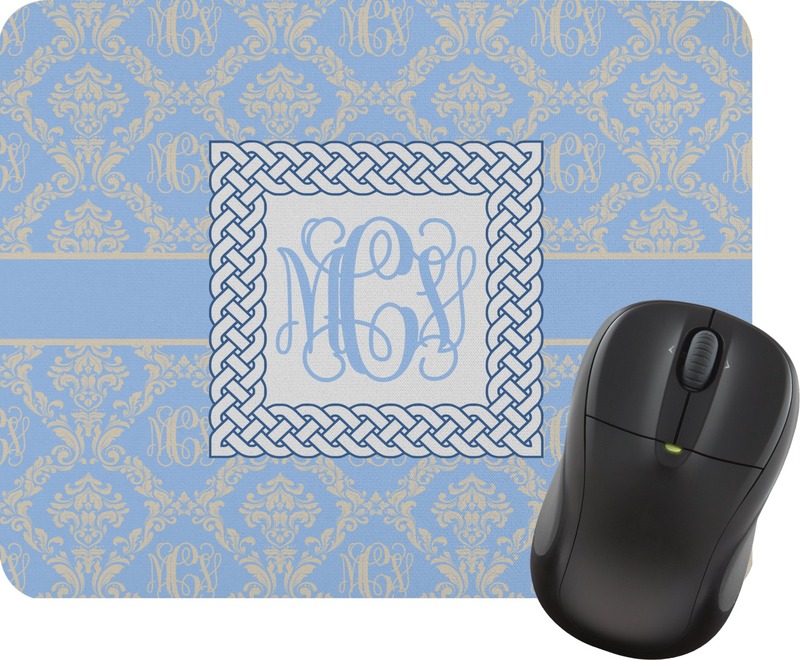 These personalized mouse pads are a sure way to add some functional flair to your workspace. They make great gifts for the office or for anyone who frequently uses a computer. We have designs to fit the individual style of all ages! They even prevent wear and tear on your desk. 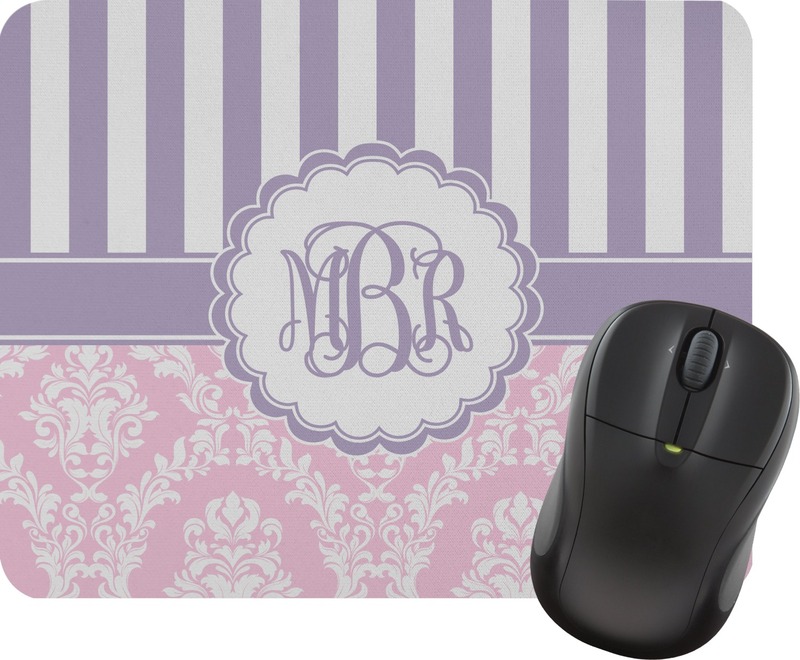 These mouse pads are a rectangular shape and measure at about 9.75"W x 7.75"H and is a 1/4" thick. They are made with a smooth canvas material on top, so that it is easy to move your mouse. 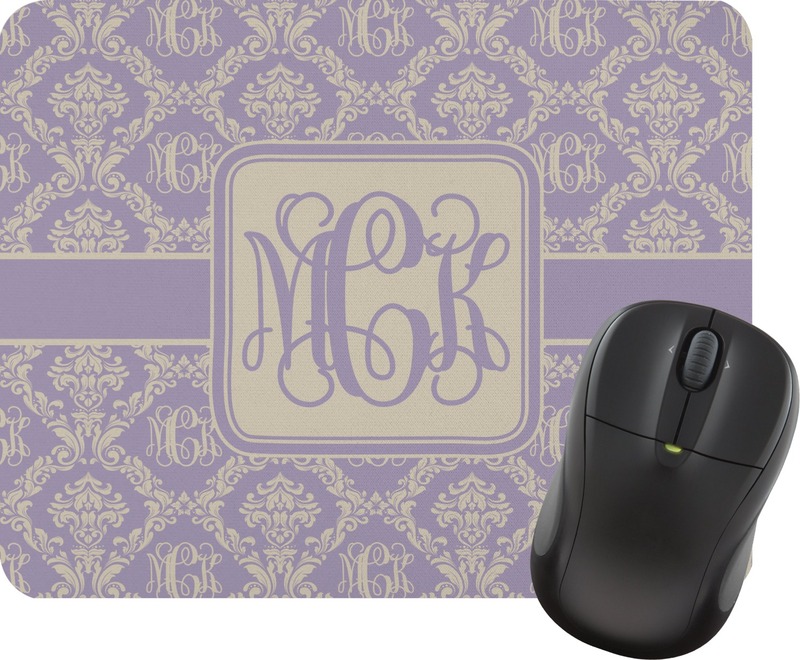 The bottom of the mouse pad is made with a rubber backing that will ensure that your mouse pad stays in place while in use. 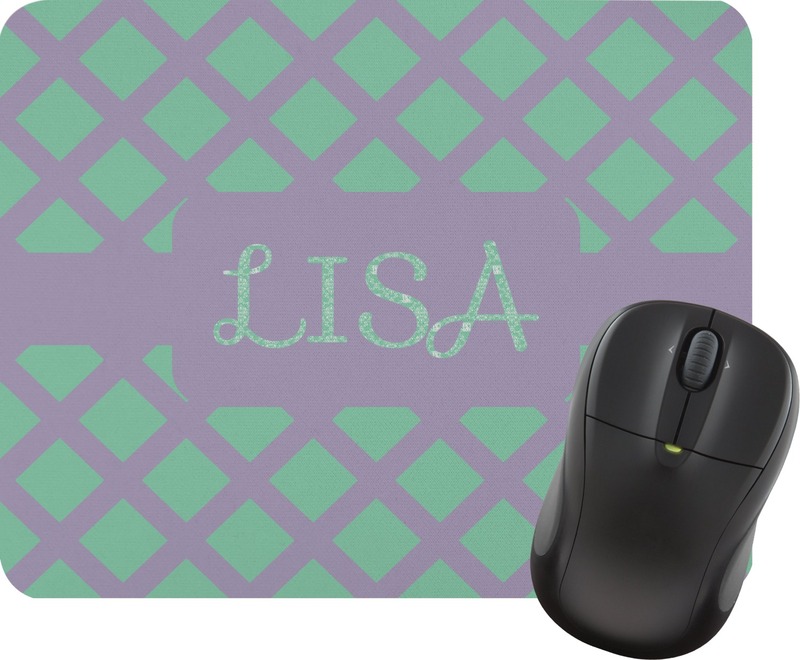 The top of the mouse pad is printed with your very own personalized design. If your mouse pad ever gets stained or dirty, gently scrub with a wet cloth with mild soap or detergent. Let air dry. In the design center you will find thousands of backgrounds to choose from. You are able to change the font, add a ribbon, choose a graphic, and even upload your own artwork. The possibilities are endless. Be sure to ask for help if you need it. 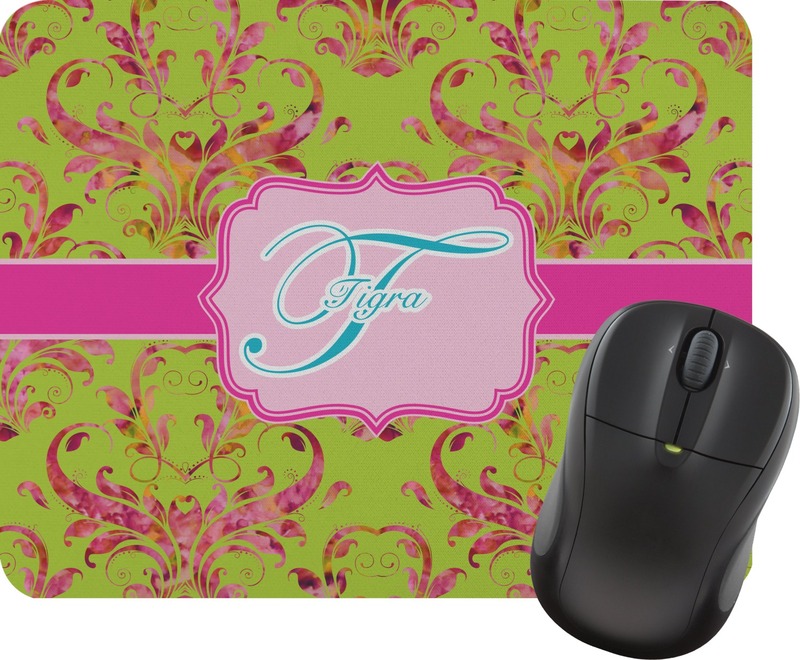 We have a great selection of different mouse pads! There are round mouse pads, mouse pads with wrist support, leatherette mouse pads, and even a keyboard wrist rest! You deserve to be comfortable in your Office, so treat yourself today. Job well done, I will definitely be a returning customer! It is exactly as I designed it and I love it!! The service is unbelievable. I received a notice that it was coming and the next thing I knew it was it my mailbox. Thanks. It is exactly as I designed it. Thanks. My order was exactly what I designed, was delivered promptly and looks great. Thank you so much for such a good job. I will definitely order again.